If you are the parent of a Tween and you have noticed them talking to themselves and making weird facial and hand movements very animatedly into a device, the chances are you have a Vlogger in your midst. That is, of course, if they are not just taking a selfie! So for ease, I am going to start with a couple of definitions. Tween – a girl ages about 9-14…too old for toys, but too young for boys. Vlogger – Video Blogger – One who records a video blog. A vlog or video blog is a blog (short for weblog) which uses video as the primary content A video logger who creates video content about their life and travels! Has the world gone mad I hear you cry. First Blogging and now Vlogging! I may be preaching to the wise and converted here but for those of you that are wondering what it’s all about, I am about to explain my findings. I thought this would be useful for parents, who like myself, find themselves and their daughters becoming a part of this ever growing phenomenon. So, as a Blogger myself who comes into regular contact with Vlogs, Vloggers and Vlogging, I thought I would take a peek into the world of the Vloggers and Bloggers that are capturing the attention and imagination of our Tween’s. As a parent of a 10 year old daughter, as well as being interested in finding out more about these Vloggers, I also have one eye on my daughter’s safety online and the other on making sure that she is viewing appropriate content. So first up – the lovely Zoella (Zoe Sugg). I would be surprised if you haven’t heard of her. You may not have seen her channel but she is often in the news and is always very prominent in the Tween magazines along with her fellow Vloggers. Zoella reached the milestone of having 10 million subscribers to her You Tube channel this year. Starting as an accidental Blogger five years ago at the age of 19, Zoella now has a very successful career as a professional Blogger and Vlogger. As you may or may not know, one can earn money from V(B)logging through brand sponsorship and endorsement as well as from launching their own product ranges and public appearances to list but a few sources of income. Zoella has had several books published and as I understand it (!) part of the appeal is that she is part of a group of Vloggers and Bloggers that are friends. I have read the blog and seen her You Tube channel. The content is varied and covers everything from days out to hair do’s, make-up & skincare tutorials, recipes, friendships, girly stuff, pets and having fun. Zoella is very sweet in a girl next door kind of way. She is also squeaky clean which is a thumbs up for parents and she is also very likeable. Not a bad role model to have in my opinion. She is also very successful through her own sheer hard work. Another positive. Brighton seems to be the mecca for these Vloggers with some of them being based there. Of course any ‘haul’ is mainly going to be brand endorsement or sponsorship and is therefore marketing by definition but we have had no demands for purchases made as a result of this. Also very important when the pound is in the hand of the parent. Here are some of the other VFFs (Vlogging Friends Forever) who you may stumble upon. And here is Zoella on her You Tube channel with some of her VFFs in case you have no idea of what I am talking about. So What Is The Appeal? I took the opportunity of asking my daughter this question and I was really interested in the answer. Obviously I know why people Blog and Vlog in the adult world and why people follow them but the younger Vloggers have been a bit of a grey area for me up until now. Q Do you feel you have to buy/have the things she talks about? From what I can see with my mummy head on, it’s all harmless fun and entertainment. There is always lots of laughter when Zoella is on and it’s really no different from watching the TV or reading a book to an extent. Obviously it can be addictive viewing which we will always monitor. And then there is the marketing element which is, unfortunately, going to be present wherever the kids are looking and watching and there will naturally be some kind of influence. Thus far I don’t feel that this has been a problem. Nor does it mean we have to rise to it. What I have seen my daughter and her friends do in this regard is to create their own haul with their own little products. Any Vlogging that is done by my Tween is monitored and will only be shareable amongst those that we know. I am mindful that this point in particular is a bit of a moveable feast but our current parental control settings don’t even allow access to Amazon! We are all over that one. For obvious reasons. All in all, I’m liking what I’m seeing. I would just like to add that we had the fruit picking idea first (*BAE) but I am happy to concede that any future visit to Brighton will be solely for the purpose of being groupies. I have no choice but to #hashtag along – really! I can also testify that Tanya Burr’s Chocolate Cornflake Cookies are divine and if this cooking behaviour continues then I would be a fool to complain. Are you familiar with this crowd and the world of Vlogging? If not, I hope this post has helped and I would love to hear your thoughts. And, if you are already converted “we’ll see ya in Brighton with your haul”! In a recent post, I wrote about the many reasons why a business should blog. You can read it here if you missed it Why Should a Business Blog? What I would like to talk about in this post is some suggestions and ideas for the type of blog posts that you may want to consider writing and sharing with your audience. Perhaps you are ready to blog but are still short on ideas and inspiration. If that is the case, I have listed some simple writing prompts below to help get you started. What Have You Worked On In The Last Week? This is always a great one for getting the creative juices flowing. Have a think about the things you have been working on in the last week. Have you worked with a new client? Perhaps you have been involved in a process that is slightly different to your usual work? Have you completed a new project? Is there something here that would be of interest to prospective new clients? 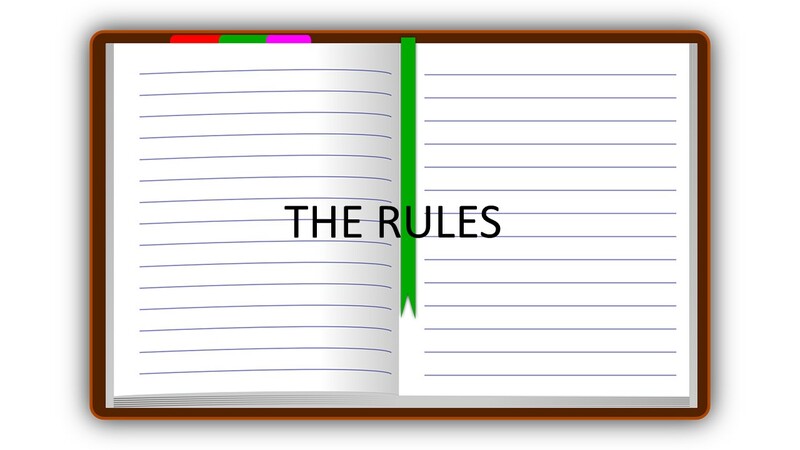 Share it, explain the process, tell your readers why it was successful. Refer to your new client, if it was a business to business transaction, perhaps there is an opportunity for collaboration. There is a good chance that it may be of mutual benefit to your combined audience. There are several prompts here that are certainly blog worthy. Does your particular business have a niche that needs to be explained to your audience. Is this something that could be set out over a series of blogs? If clients understand what you do, it helps them to see why your services may be of benefit to them. If they aren’t well informed they may not see how you could help them. Make it easier for people to do business with you. Don’t fight shy of detail. You may be the expert at your business but your prospective client isn’t. Sometimes it can be simple blocks and misunderstandings that can prevent us from investing in a service. Spell it out. Are you asked the same question regularly about your product or service? If so, this is certainly blog worthy. Simple explanations and answers to popular questions make great blog material. You can refer potential customers to your posts over and over again. If you have a creative business, let photographs do the work for you. We are always drawn to an image – look at how popular Instagram and Pinterest are. Some of your fabulous images followed by a few words about the process or journey can provide a very interesting blog post for your readers. Perhaps you have a gardening business – let the service work for itself through images. Are you about to launch a new product? How exciting! Have you told your customers? If not, why not? This is fabulous news and you need to be sharing it. Perhaps you are looking for some feedback before launch? Again, ask others for their thoughts. This is also a great way to get a dialogue going through your blog comments section. We are more likely to place our business with someone that we know, like and trust. Allow us an insight into the face behind the business. Perhaps you have a team? Introduce them if so. This could be a blog post of its own. It puts faces to names and provides a personal touch. Don’t be afraid to intersperse posts with snippets about yourself either. At the time of writing this post, the weather is scorching. If my business related to fans, coolers, outdoor furniture or such like, I would be missing a trick not to talk about my products on my blog. Today the hashtag #toohottosleep is trending on Social Media. Imagine if your product was the solution! So there we have a few suggestions which will hopefully be sufficient to help you to start popping some ideas down for a blog post. In my next post, I plan to share an example of a business blog. If there are any business owners that are finding blogging difficult to approach or feel that their business doesn’t lend itself to a blog post, feel free to drop me a line via my Contact Page. I would be happy to include your business as an example. Have you ever considered using a blog to promote your business? Blogging is a way to share your expertise and unique voice to engage with your clients in an informal, conversational style. There is no better person to talk about your business than you. You are, after all, the expert in your field. It is very easy to assume that others may know more about your business than they do. As the business owner you need to make it as easy as possible for people to buy from you and to understand how you can help them. A blog is the perfect medium through which to do this. Let your customer know why they need your product or service. People have moved to making their buying decisions in a more personal way. They want to know more about who they are buying from as well as knowing that they are going to receive a good service and value for money. Blogging offers a unique opportunity for your customers to get to know you better. It is a way of talking about your business without making clients feel like they are being ‘sold to’. ‘Know me, like me, trust me’ have a big bearing on how clients make their purchasing decisions. Simple questions can be answered in a blog. You can provide the solutions that your client is looking for. Or better still – catch their interest before they have realised they need your services. The comment section of your blog is also a great way to get chatting to potential customers and answers their queries. Once your blog is established, it is also a place for people to comment on your good service – get your customers chatting even. There is of course no finer recommendation than a happy client that is willing to share their experience. We all favour making our purchases from someone with whom we can easily engage, that understands our needs and is able to offer sound advice. Think of blogging as a way of building a relationship with your customer. If your business relates to a product or service that you consider to be a little ‘dry’ or ‘technical’, and you are wondering how you can make it more interesting, think about it from the client perspective. What information can you give them that helps their understanding. Think about what their needs may be – invite them in to your world and teach them! Try to pre-empt and break down any barriers that may be present. There is always something to say. Where words fail, use pictures – people respond more and more to images now – use them to your advantage. You can showcase your successes and help customers to understand the processes of what you do. You may also find that other businesses become readers of your blog and it may present ideas and opportunities for collaborations. There is no better time to start blogging and sharing your unique voice and brand. Clients will get used to seeing your posts and expect them. Once you get started don’t forget that your blog must be updated regularly in the same way as your website and social media accounts. If you aren’t consistent it can be akin to not answering the phone or emails. Always keep them coming. Your blog is the ideal place to share your passion for your business. If you would like any further advice regarding blogging, please visit my Contact Page. Precisely one year ago today, I wrote my first blog post and sent it on its way into the ether. It took me a long time to get to that point but I’m so glad I did. It turned out that it wasn’t just my two friends that read it and that indeed it has been of interest to some people which is rather exciting and scary at the same time. I am also delighted to have a mixed audience, although I suspect that they may be more supporters of Iron Man! Over the last year I have fallen in love with this blog and all that it has brought. Despite always wanting to do it, I never really knew what it would entail and the opportunities that would come my way. 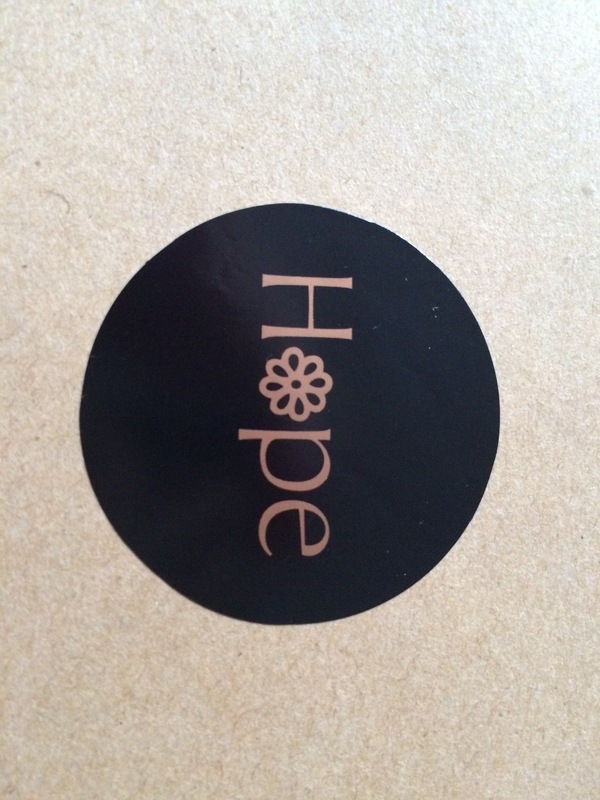 I have met some wonderfully amazing people as part of this little online notepad. Small businesses and entrepreneurs are thriving out there. It is a joy to see. I shall attempt to explain blogging – many people ask – many wonder why and some people think it’s well – just odd. I did too. For me blogging is every job I ever wanted and everything I love to do – all rolled into one. It is an opportunity to blurt out what is on your mind, engage with others, flex your creative muscle, network with others and get involved in talking and hearing about lots of different things that you may not otherwise have heard about. Blogging offers a multitude of opportunities and can also be paid work. It’s also a way of using everything you have ever learned from many years of working to bring things together in one place. It is also very hard work. It’s not just about the writing and coming up with the idea. Getting your blog out there takes days and hours online sending it on it’s way in order to gain readership. You have to find your reader as it is highly unlikely in the early days that anyone will ever find you. Most people will have no interest whatsoever in what you write – fact. Nothing personal but that’s the way it is. Many millions of people are doing the same thing. Many very successfully. It is a very competitive area. Broad shoulders, patience and tenacity are required in abundance. I am merely scraping the surface. Every like, share, comment and follow is appreciated by a blogger far more than you will ever know. Many posts will never get any comments or likes, some will get loads. Again, just the way it is. One also has to factor in the wonderful algorithms of social media and it’s best friend Google. I am pleased to say that I am not deterred by any of this. I have listened to feedback from readers and at the same time, I am expanding the blog to talk more about the things that are important to me and in turn my audience. I will be making a few tweaks to the blog itself to incorporate personal development, lifestyle and blogging for the small business as well as general musings and, of course, parenting. It has never been my intention to be a parenting blogger. More of a mixed bag with a focus on things that are of interest to me. The Kid has just reached her 10th year and my blog is not a space where I wish to invade her privacy so you probably won’t hear too much about her unless it is particularly relevant. I will only share things that are comfortable for all of us. Iron Man will not be getting off quite so lightly! The most important thing about blogging is to be authentic. Stepping out of your comfort zone is another. There is also a delicate balance between sharing and over-sharing and this is something that is always at the forefront of my mind. It is my dream to turn my passion into work through this blog by writing about things that resonate and appeal to me and that are in line with the content of my site. I am happy to enter into working collaborations with brands and people that are relevant to this content and to the ethos of my site. I am also happy to consider reviewing products and services that may be of interest to my audience, without my site becoming overly promotional. Equally, I am able to provide content for others. So another step into the unknown, more learning, lots of writing, treble the leg work and more, even scarier, stepping out of your comfort zone moments than I care to think about. And perhaps a part-time job in the meantime to keep everything ticking over. So time for Year 2 and I’d better get cracking as Iron Man is eyeing up the holiday brochures again! A huge thank you to you all for reading, contributing, liking, debating, giving your points of view and everything else that you have done that has been supportive of this little space. I like to have a little catch up with blog posts when the alarm goes off in the morning and I’m having my first cuppa. I am very inspired by other peoples blogs and I love the way that I am always able to read something that sets me up with a really positive start for the day. Last week I discovered another benefit to blogging. I wrote a post Are You Missing With Your Kissing which was a tongue in cheek reflection on the complexities of greeting people these days. Have a little read if you missed it. I love to write posts like this as they make me giggle when I am writing them. I also like to work on the rule of thumb that surely one other person will have experienced the same thing. If not, I know it’s time to worry. Fortunately, it turns out that I am not alone with the kissing lark but I also got something really special back from this particular post. I had some really fabulous comments and I also had the pleasure to ‘meet’ Veronica at Of Mice and Ramen who commented and shared the fact that in Malaysia it is an offence to show public displays of affection. Veronica also very kindly directed me to a wonderfully poignant piece that she had written for Mothers Day 2015. Do have a look. This got me to thinking that, as a race, we haven’t always been so forthcoming with affection. If we look back to Victorian times, such public displays of affection certainly weren’t at the top of the etiquette list and would have been deemed inappropriate. I guess we have relaxed a little since. I really enjoyed the exchange I had with Veronica through the comments section of my post. It was also really useful to get a comment from another blogger with a completely different perspective to mine. I think it’s true to say that we all get a lot from the comments on our blog posts and that we really value the time someone takes to post something relating to what we have written. It also made me value being a blogger even more because of the opportunity to link up with others whose lives are very similar but also very different from my own. It made me realise how important it is to keep checking comments and also the comments I make on other bloggers posts. This can be hard sometimes as despite ticking all the notification boxes when commenting, responses to comments can still get missed. And, of course, not all blogs have this facility. I always try to keep a note where I have made a comment and am particularly interested in the bloggers response. I will keep checking back to try to avoid a response going unnoticed. Veronica found my blog on the #KCACOLS hosted by Franca at A Moment With Franca. 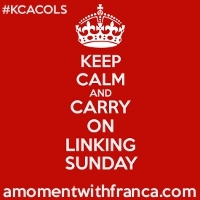 This is a great linky and there is lots of interaction and commenting encouraged in Franca’s community. I was also the post before Veronica’s and the rules of this particular linky require bloggers to comment on the link before their own. There has been some debate about this across different ‘linkies’. I guess sometimes it can be hard to comment on the blog before your own if the content doesn’t resonate. Generally though, there is always something to say of some relevance rather than an overly obvious platitude. I’m glad that Veronica did take the time to comment on my post. I’m also glad that I pursued the exchange and had the pleasure of learning about Malaysian culture. I enjoyed reading other posts on Veronica’s blog and I am grateful that I was able to make this link. It would be really interesting to hear from others with similar stories. I would also be very interested to hear of other bloggers ‘fail safe’ methods of checking whether their comments to others have been responded to if there is no notification facility. 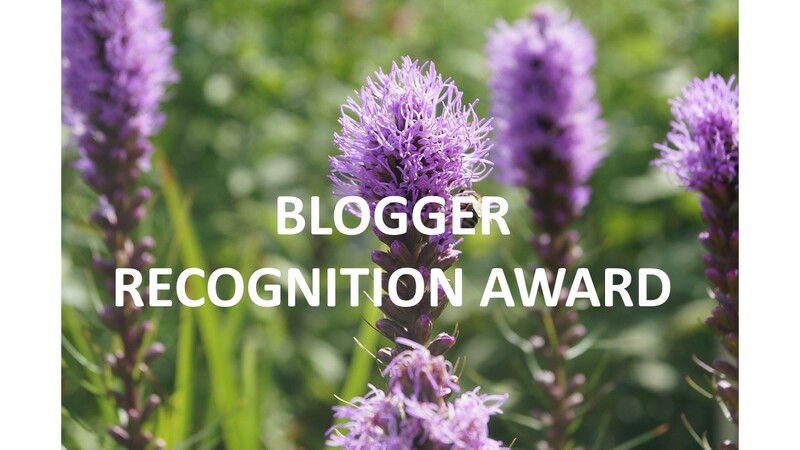 I was very chuffed and just a little bit excited to be nominated for a Blogger Recognition Award by Tracey who writes at The Anxious Dragon. Tracey herself has not been blogging very long but you would never believe that from her blog. I have seen some really interesting and helpful posts on Tracey’s blog and I love the way she writes and her humour. This is the first of any such nominations that I have received since starting my blog in May so thanks Tracey, a lovely surprise. So without further ado and whilst feeling very shiny and special, I shall get on with the question in hand. I’ve always loved to write whether it be observational, practical or to record special moments. Generally, I have quite a lot to say and I love a great debate so I tend to write a lot of this down too. I love a notebook and always like to carry one with me for this very reason. Blogging seemed like the perfect next step and a way to indulge my passion a little further. I was a little slow in getting my blog started Me and Blogging but I have enjoyed every minute of the journey so far. I love to read what others have to say and the different perspectives and ideas that are shared through the blogging community. I am constantly learning and having new ideas about how my blog will evolve. I’m still quite new to the party myself but my advice is to remember why you are blogging and why you find it so enjoyable. There will be times when you will be able to write easily and others when you are lost for words. Panic not – it passes! Try not to compare yourself to others which can be difficult when you first start. You will quickly realise there is nothing to be gained from doing so. Your blog will not float everyone’s boat in the same way that some won’t float yours. Blogging allows the freedom of choice which is another fabulous thing about it! I have nominated the bloggers below as they are the ones that I have really enjoyed reading so far in my short time in the blogging sphere. Some of the more experienced bloggers will have already done this a million times over in which case – no need to do it again! It’s more of a shout out really to some great bloggers. I have really enjoyed reading your blogs and look forward to hearing your stories.